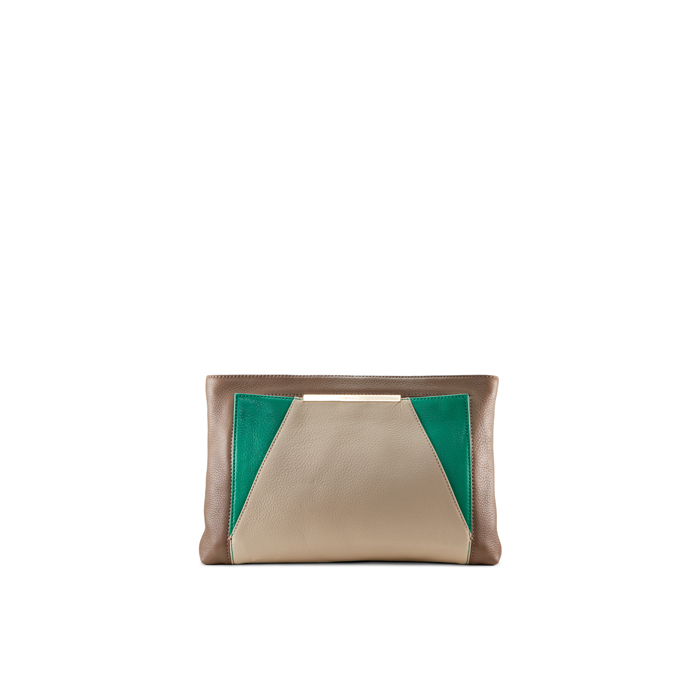 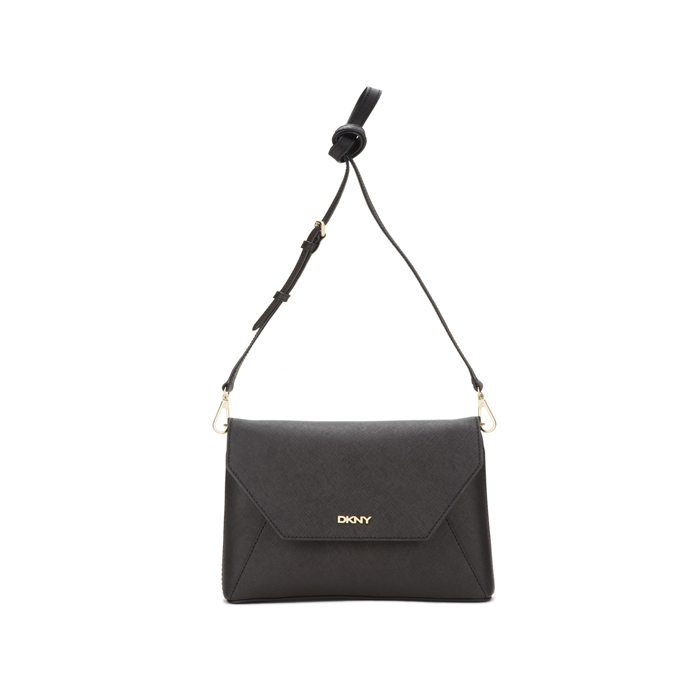 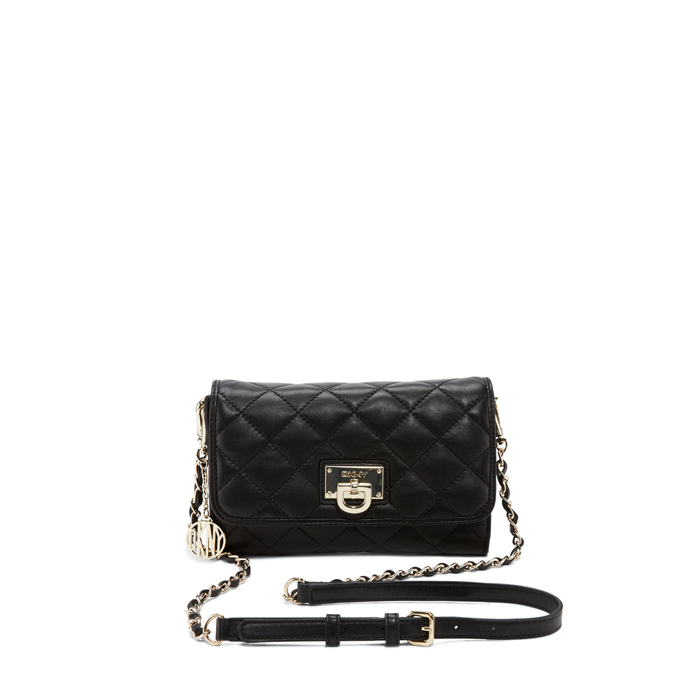 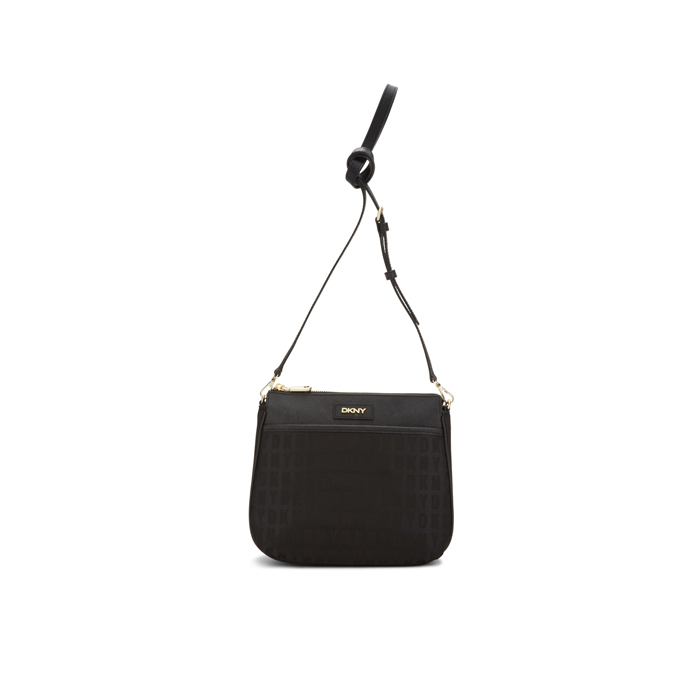 DKNY signature HQ print Bryant park saffiano leather crossbody bag with adjustable shoulder strap. 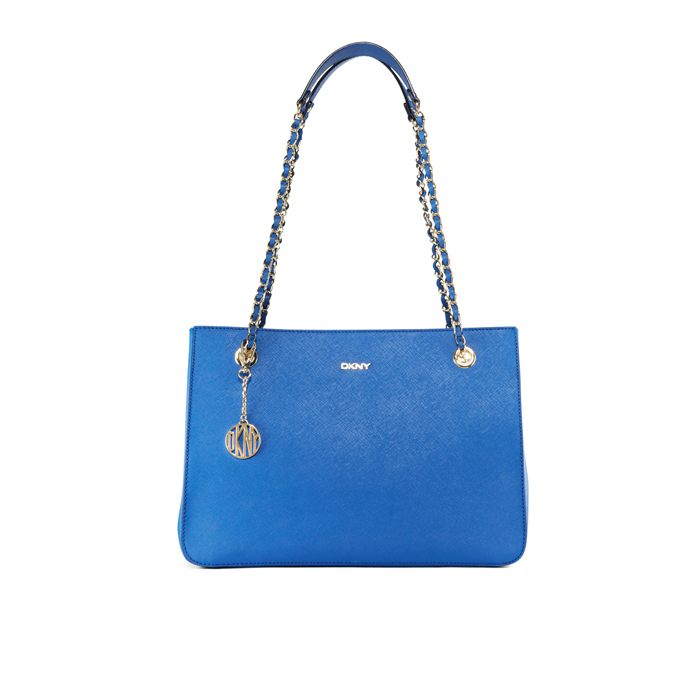 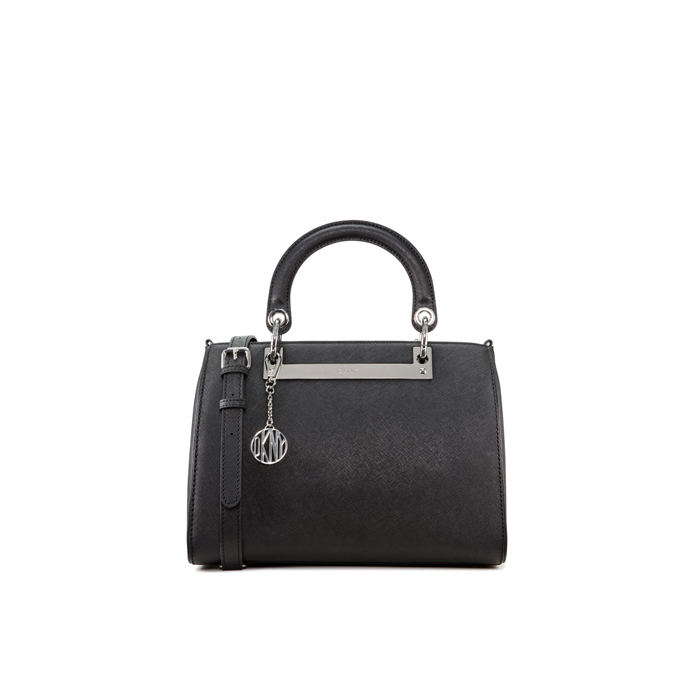 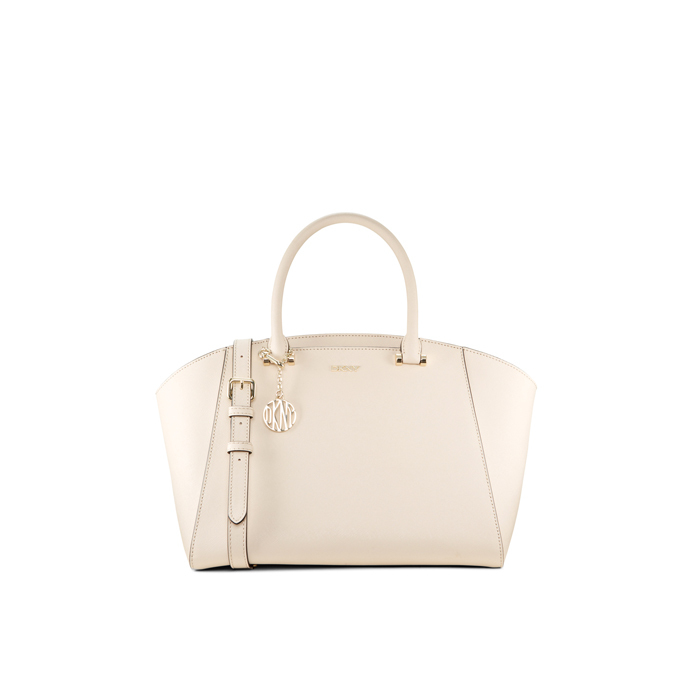 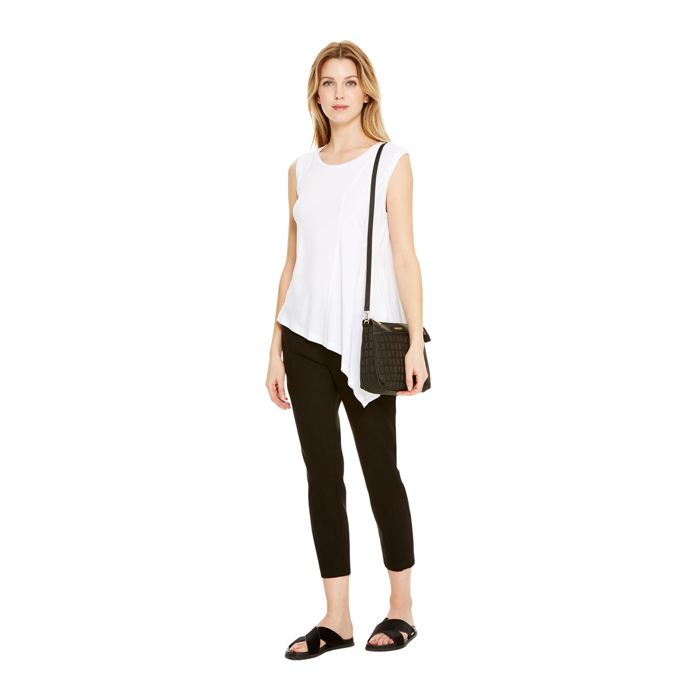 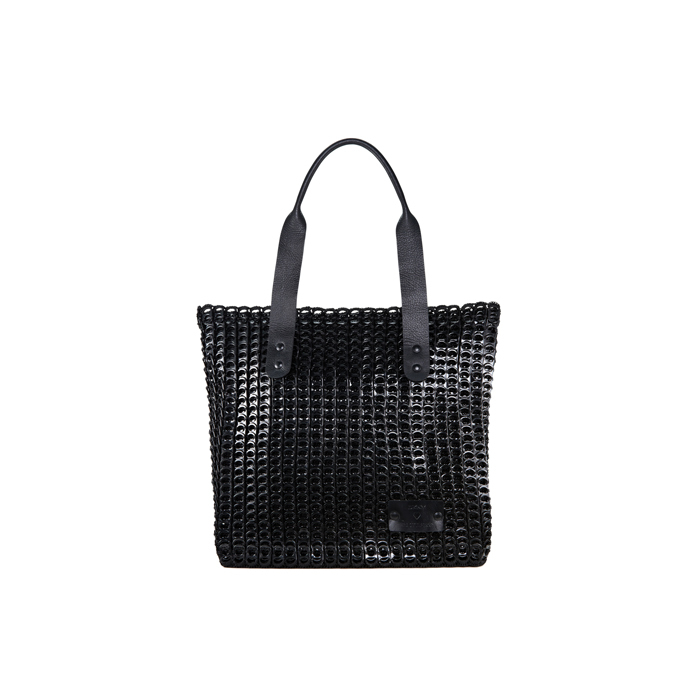 Features a solid leather insert at the top with subtle DKNY print body. 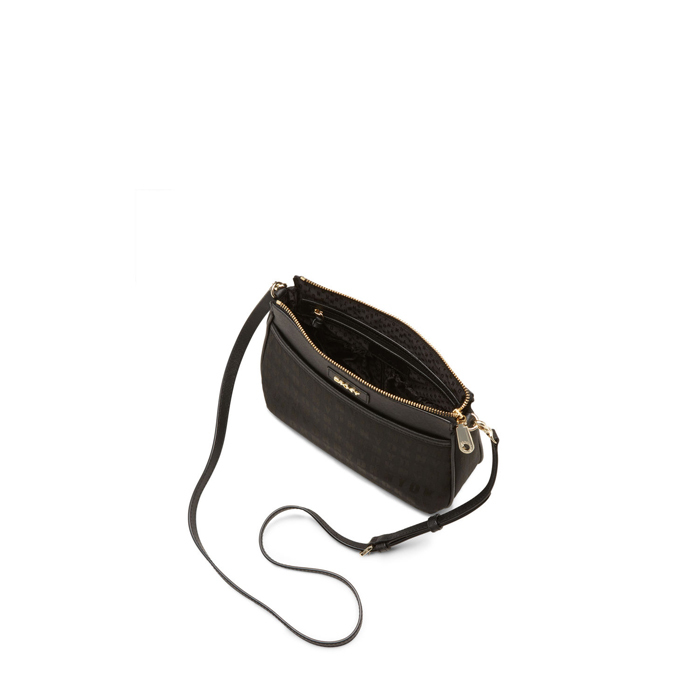 Can be worn as shoulder bag or crossbody.